continues to be untouched by the “Modern Tourism”. Inside the rooms, we have combined the traditional element in the decoration and the furniture with the functionality and the comfort of a modern lodging, trying to offer you a warm and pleasant environment for your holidays. 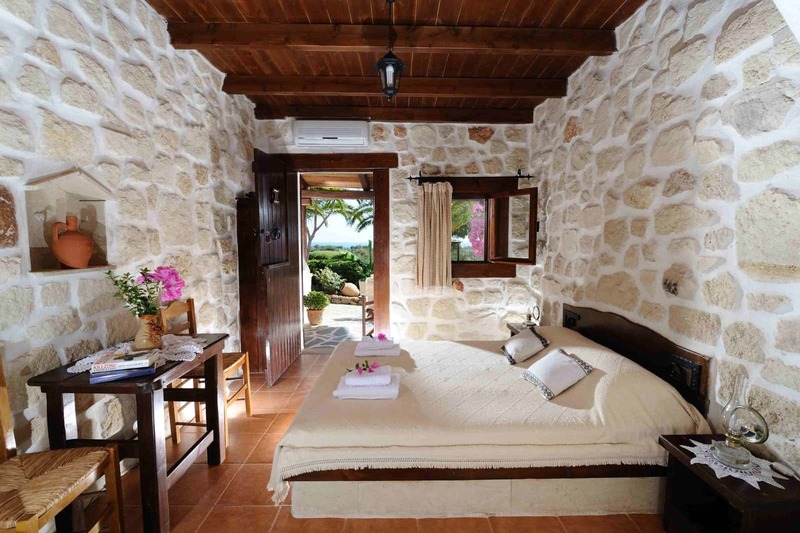 The interior is designed with stone, there is a wooden board ceiling and stone based double bed. The rest of the room is elegantly decorated with ornaments from the local culture. Outdoors there are very beautiful trees, like pines, cypresses, palm trees, acacias, mournies, voukamvilies, jasmines, banana trees, cactus etc. , that offer you their coolness and shade when you want to relax. The garden is separated in three uneven levels with natural fences and trees that create private corners for your personal privacy. 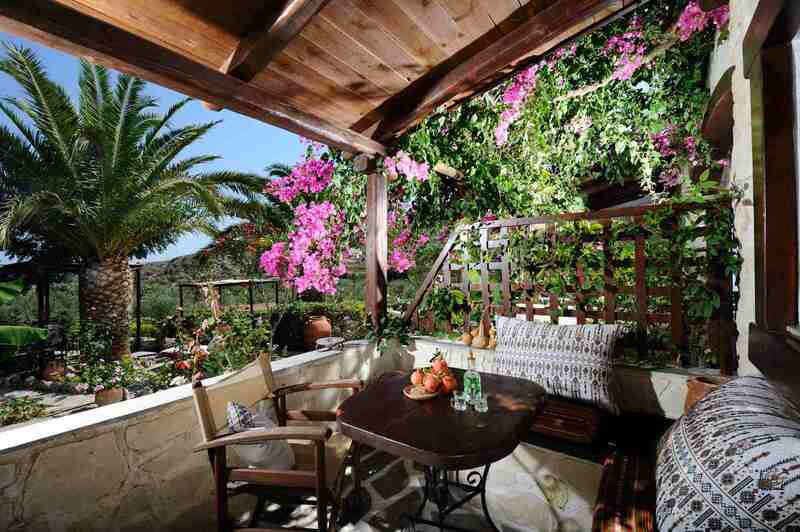 Yiannis Retreat Studios is a complex of five renovated stone houses, situated in the wonderful green valley of Kato Zakros, surrounded by olive trees, garden plants and bushes, all there for you to enjoy the magnificent view and the blue and clear waters of Kato Zakros bay. 13 days of happiness, caring, beauty and kindness! Since the first instance spent at Katerina and Yiannis we felt like home! We will never forget you, nor your garden, nor this nice fishing octopus day! Thank you so much for sharing your paradise with us... Hope your place will never change. 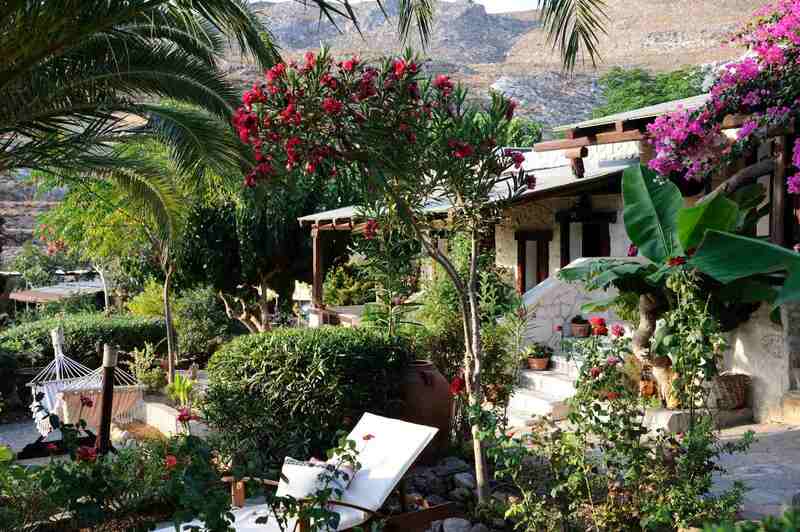 You have made Crete so different(and so true!). We really hope to come back soon! Does it get any better than this? What a beautiful setting. You have made your own 'Garden of Edem'. Thank you! 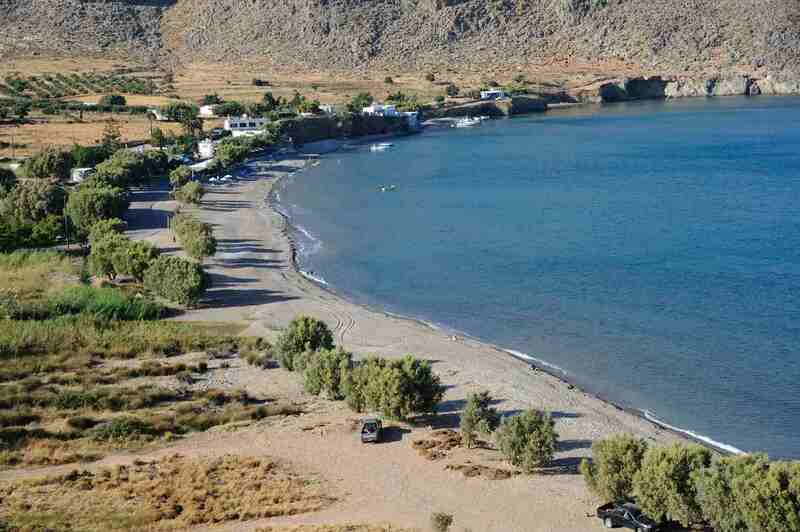 Access to the studios is easy from the beach of Kato Zakros following the dirt road which goes past the Minoan Palace and the exit of “The gorge of the dead”. It takes only a 2-minute drive to come here in our quiet and natural environment, which is addressed to visitors who seek in their holidays a combination of comfort, quality and unique beauty.